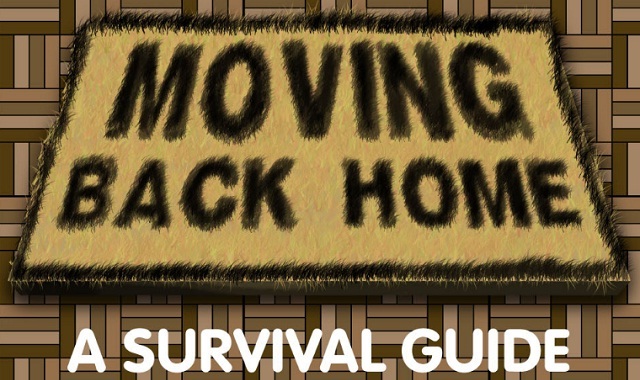 Moving Back Home: A Survival Guide #infographic ~ Visualistan '+g+"
An incredible 25% of 20-34 year olds are currently living with their parents, this often being a cheaper option to renting or the ever-more-unaffordable option of a mortgage. Many are in this position in order to pay off debt – student loans or otherwise – whilst others are using this option to save for a wedding, house or new wheels. Thankfully there are many advantages to moving back home with your parents, alongside a few pointers to be mindful of. Follow this guide from Money Guru and ensure the experience is as delightful for all as can be.